The Sylvester's Farmer's Market will open May 5th. The time will be 9am until noon. 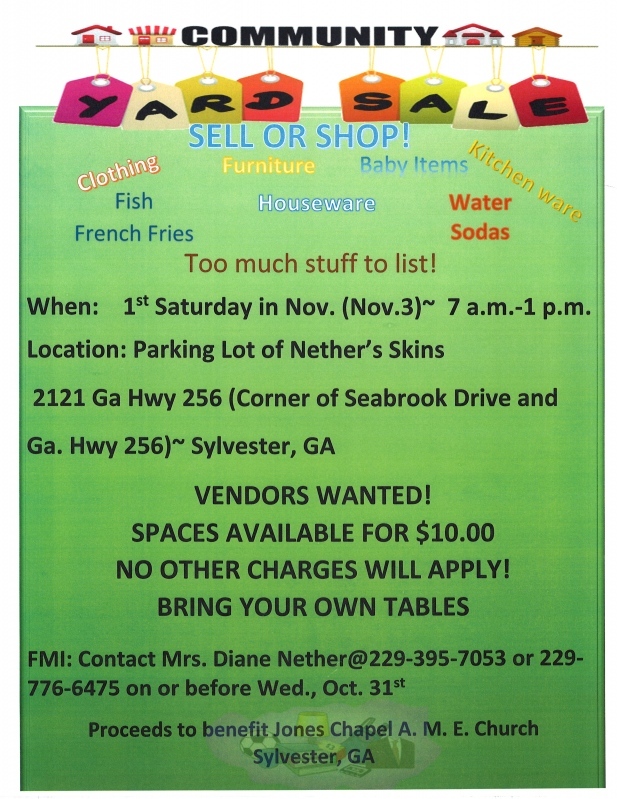 This event will be every Saturday until the last weekend in November. The Events Committee will meet on November 7, 2018, at 3:30 PM. 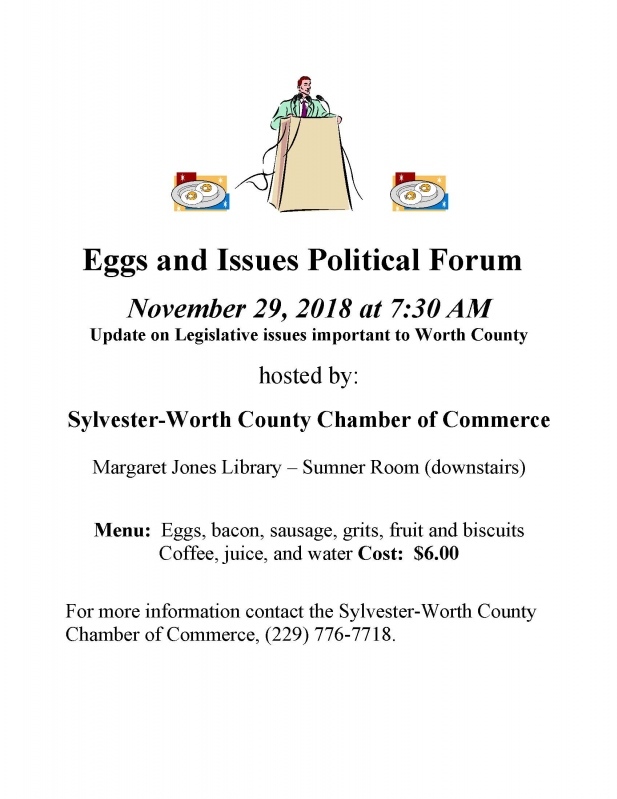 The Sylvester - Worth CountyChamber of Commerce Retail/Tourism Committee will meet Quartley beginning the 2nd month every 3rd Thursday at 11:00 am at the Chamber office. 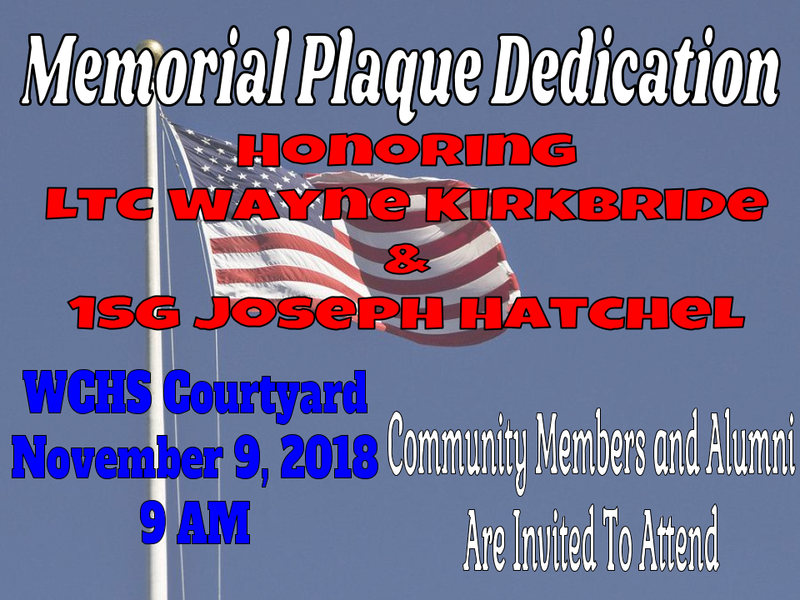 A plaque will be dedicated in the WCHS Courtyard on November 9th at 9am honoring LTC Wayne Kirkbride and 1SG Joseph Hatchel. Community members and alumni are invited to attend. 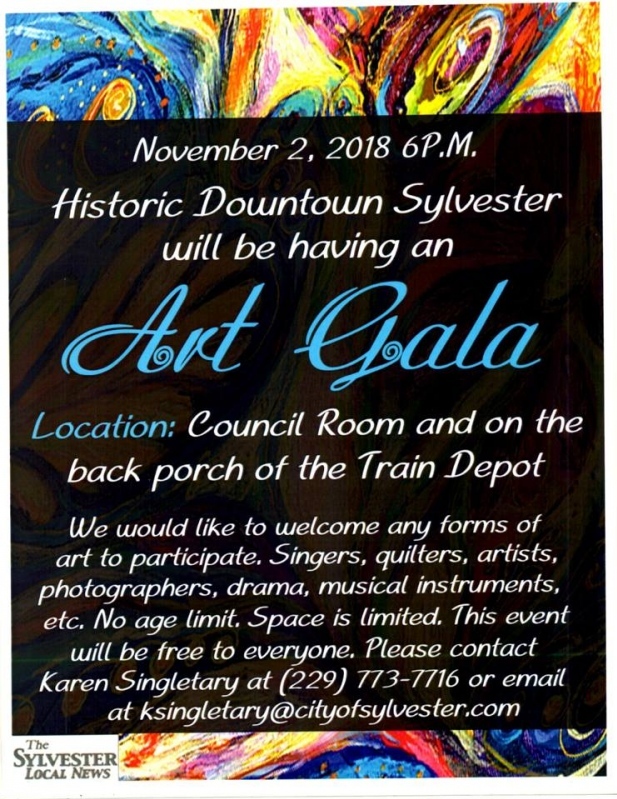 The Sylvester-Worth County Board of Directors meet on the 4th Thursday monthly starting in January at 12:00 pm with the exception of April and June.